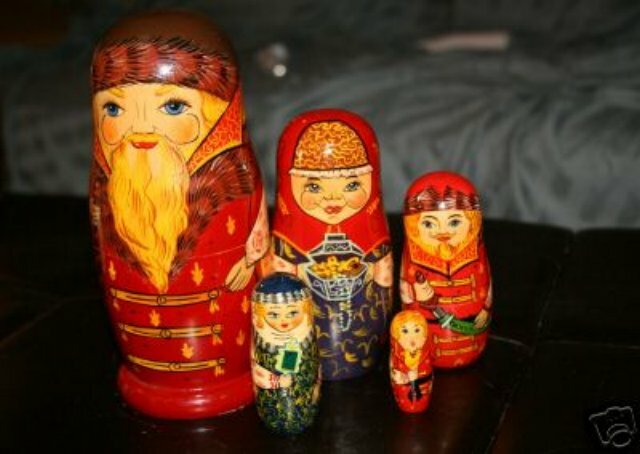 This is a very nice 5 piece wooden nesting doll set, made in Russia dated 1993, signed by artist. This Russian family is dressed in warm winter clothing in red and fur and feature very interesting faces. The largest doll is approx 8" tall and the dolls are in excellent condition.